Some have asked me what I (and others) mean by “the dialectic,” particularly its presence in American intellectual development (and particularly its absence in Russian development). That request also dovetails with some Trinitarian and cultural posts I have wanted to make (from reading Slavoj Zizek). I’m too buys for the next few days (coaching baseball, installing an air conditioner), but I should post on it this weekend as spring break is coming up. From Meyendorff’s Byzantium and the Rise of Russia. This is in the context of monasticism as a unifying factor in the Eastern social mind, with obvious references to the Hesychast controversy. Hypostatic Union and the patristic doctrine of deification implies that divine life becomes accessible through the human flesh of Christ and of the saints. The innumerable references of Palamas to such texts as the homily of the Transfiguration of St John of Damascus–the great defender of matter as a legitimate channel of grace during the icnoclastic controversy– or to the Christology of St Maximus the Confessor, clearly indicate a basic unity of theological inspiration. I found this jewel from Jaroslav Pelikan’s Spirit of Eastern Christendom. But something new came into existence when Byzantine Christiantiy was imported to Russia. A Christian philosophy of history became a constituent element of Russian theology as early as Hilarion of Kiev, whose polemics against Judaism put special emphasis on the interpretation of history. In other words, in some way Orthodox Christianity created the Russian people. This has implications for nationalist discussions today. In the Protestant West it is common hear, “But Christ abolished nationalism and distinctions and all. After all, consider Galatians 3:28.” Fair enough, I shut my mouth in front of the Bible, if that’s what the Bible is actually saying. Okay, I just want to ask some questions out of this passage, and if the absurd conclusions follow, then we can rule out that St Paul probably didn’t intend for the passage to be interpreted in the way that no ethnic/national distinctions are allowed. 1. If this passage rules out national and ethnic distinctions, then it also rules out sexual distinctions. 2. If (1), then the ideal “Christian” is a hermaphrodite because sexuality has been abolished in Christ. 3. However, (2) is absurd so we can probably drop the charge against nationalism. Let’s see what St Paul says about national distinctions in Acts 17. I don’t want to read too much into the verse, but there you have it. 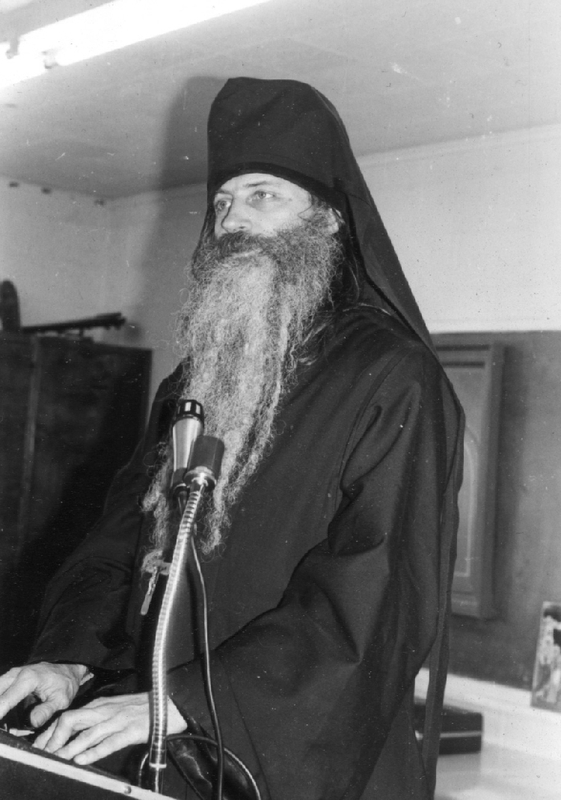 Fr Seraphim gave this as an address to a group of college students in California around 1980. In many ways it summarizes all of Fr Seraphim’s writings (which is kind of impressive for only 50 pages). Fr Seraphim’s message is the human heart opens itself up to the truth of God—this is revelation. It is often when the Scriptures are expounded with the right interpretation—this is intensified in times of acute suffering. Fr Seraphim gives many examples from the lives of the saints, most notably St John Maximovitch of Shanghai and San Francisco. St John’s life was one of humility and suffering and as a result God blessed him with miracle-working. More importantly for this story, he received revelation to appear to a woman (in the flesh) despite the fact that it was impossible by the laws of physics for him to do so. (Think of St Philip and the Ethiopian). Fr Seraphim then surmises that many of the disciples who traveled to Russia, southern Africa, and China did so by the same means that St Philip did in Acts. Fr Seraphim warns his audience not to search for religious experiences, but for truth. As an example he gives the chilling story of St Niceta of the Kievan Caves. We accept that miracles and spiritual gifts are real, but we must test our religious experiences not by ourselves, and not even by our reading of the Bible, but by submitting it to the discipline and wisdom of the Church. The end of the book is a Q and A session. Other reviewers and the editor were dismayed at the questions asked. They feared that the audience missed Fr Seraphim’s main point. The audience probably did miss it, but their questions do reveal that Fr Seraphim indeed “touched” something within their hearts. Fortunately for later readers, Fr Seraphim’s answers are very clear and short answers to difficult questions. This book is one of those written with rare power. Fr Seraphim writes with the same message the book contains. It is like all of Fr Seraphim’s books: practical, urgent topics met with the wisdom of the ancient church. He is always serene and clear. Fr Seraphim’s life was one of suffering and seeking to acquire the mind of the Fathers. Doing so brought him “pain of heart,” as the Fathers would say. This pain of heart, this suffering, gifted him to speak to audiences such as these.